Hello there! Long time no speak. So I’m finally back from my travels and back to blogging (that whole blogging while travelling thing never eventuated). These are a few photos from my flight over. 24 hours of travelling. Fun (not). Especially when the first eight hour flight from Brisbane to Singapore could only be classified as the worst flight ever – thanks to a whole heap of turbulence and my propensity for travel sickness. By the end of the six weeks, however, I was a seasoned traveller and my trip home was a breeze. Unfortunately I got aisle seats on both flights home so no photos from those. I’ve seen and done so much in the past six weeks, I didn’t really know where to start. But the beginning seems to make the most sense, right? Don’t be fooled. I packed way more stuff. This is just the skeleton of my travel wardrobe. There’s also stuff I forgot to feature like jewellery, cardigans, denim shorts, plain t-shirts, flip flops… and underwear and pyjamas and all that stuff. For the one camel-coloured singlet there’s also a black one, white one, grey one… you get the picture. I initially packed six striped shirts. I whittled it down to four. After reviewing the contents for what seemed like the hundredth time, I also got rid of the pink dress and yellow skirt. I’m taking the black bag on the plane with me, and my jeans and striped shirt are stored in my day pack as a spare set of clothes. Anyway, you’ll most likely see the majority of the clothes I ended up packing in all my travel photos. Not long till I head off now! I’ve managed to wrangle together a few scheduled posts. But not a lot. So if you don’t hear from me here, be sure to check my twitter. See you on the other side of 24 hours of travelling! Hopefully in two months time this little book will be jam packed with hundreds of tales about my travels. If you’ve been following me on twitter, you may be aware that I’ve been in a travelling frame of mind lately. Because this time next week I will be in London! And the week after that I’ll be having a grand old time at Glastonbury. To help me get organised I’m going to ask all you lovely readers (because I know there are a fair few of you in the UK and Europe in general) to give me your best London/Glastonbury/travel tips. I’ll also be spending a week in Paris and an extra week or two gallivanting (read: no set plans yet) in Europe. So the more advice, the better! Tell me your favourite things to do, places to visit, and where to eat/drink/shop/people watch. Recommendations on where I can get a decent cup of coffee won’t go astray either. I’ll be travelling sans laptop so posting might be a bit erratic over the next six weeks. I’ll look into setting up some scheduled posts, and will try and do a quick post every now and then while I’m over there. Rest assured I’ll have plenty to blog about when I get back. 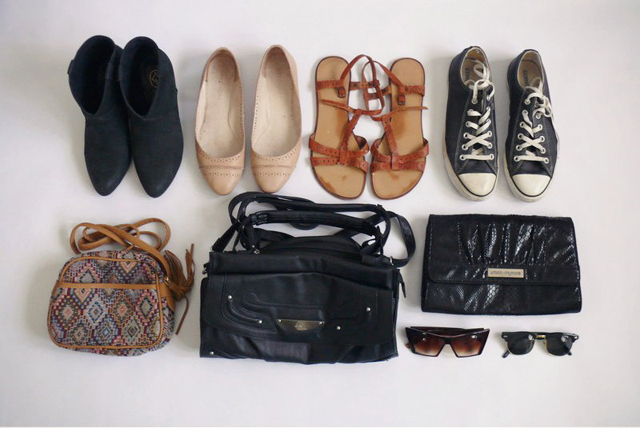 In the meantime, you can look forward to my packing* posts! 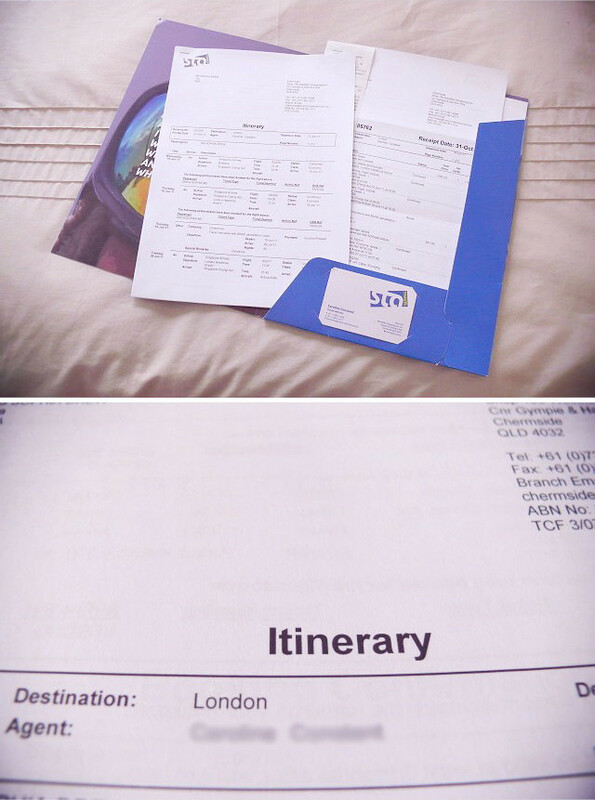 This weekend I booked some flights to London. I’ll be heading over next June for five weeks. Mainly to visit my friend Bron who moved there earlier this year. And also because of a little festival that goes by the name of Glastonbury. Yes, you read correctly. I GOT TICKETS TO GLASTONBURY. I’ve been sitting on that one for a while now. Having exhausted the Aussie festival circuit, it was only natural that I take the next step and aim for arguably the most notorious music festival in the world. I’ll also be there for my birthday, which is an extra treat. I’ll probably be spending it absolutely exhausted though, as it’s the day after Glastonbury. Anyway, I’m just a tad (read: very) excited, and will be patiently counting down the days until June 2011. To all my readers who live in or have visited London, any advice on things to do would be much appreciated. I’m interested in anything and everything – from all the big touristy attractions to little things like quirky bars/art galleries/cafes/shops etc. If you’re a regular on this blog, then you probably already have a fair idea of the kind of stuff that I would be into. Thanks in advance to all those who answer the call! Also, Happy Halloween! Hope you’re all getting your spook on. I went to a party last night (dressed up as Wednesday Addams) and took my Canon Sureshot camera along for the ride. Photos to come.